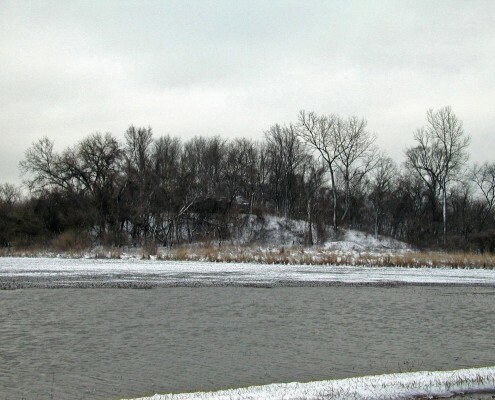 Although these two mounds are numbered separately on the Patrick Map, and are shown as two separate structures on the Moorehead and UWM maps, I consider them two levels of a single structure. Mound 10 is a lower platform to the east, and Mound 11 is a large, conical, higher eminence on the west half of this location. For convenience, however, I will discuss them separately and then discuss their overall configuration. Using 127 meters above sea level (416.7 feet) as the base, the Mound 10 portion extends from coordinates N1198 to N1244 and from E40 to E75. The E40 line, where Mound 11 begins, is taken as the division between the two areas. The Mound 10 section measures 46 meters (150.9 feet) north-south and 35 meters (114.8 feet) east-west. With 127 meters as the base line, it appears that the Mound 10 portion is 2.0 meters (6.5 feet) high. That figure varies greatly from previous heights for these mounds, but it appears that even in the earlier days there was confusion over their configuration. The McAdams Map of 1882 shows a square-shaped Mound 10 extending from the east side of Mound 11. No height is given. The Thomas Map of 1894 shows Mound 10 as a square platform mound larger than Mound 11 in area but 15 feet (4.6 meters) lower in height. 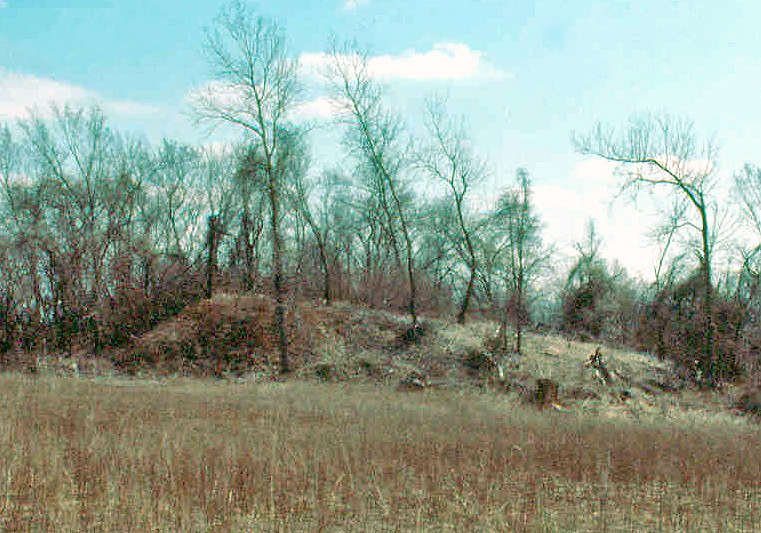 The Peterson-McAdams of 1906 merges Mounds 10 and 11 into one large, oval mound. The Mound 11 portion of this structure, from a base elevation of 127 meters, is 7.5 meters (24.6 feet) high. That figure corresponds with the McAdams Map of 1882 and the Thomas Map of 1894, both of which give a height of approximately 30 feet (9.1 meters). 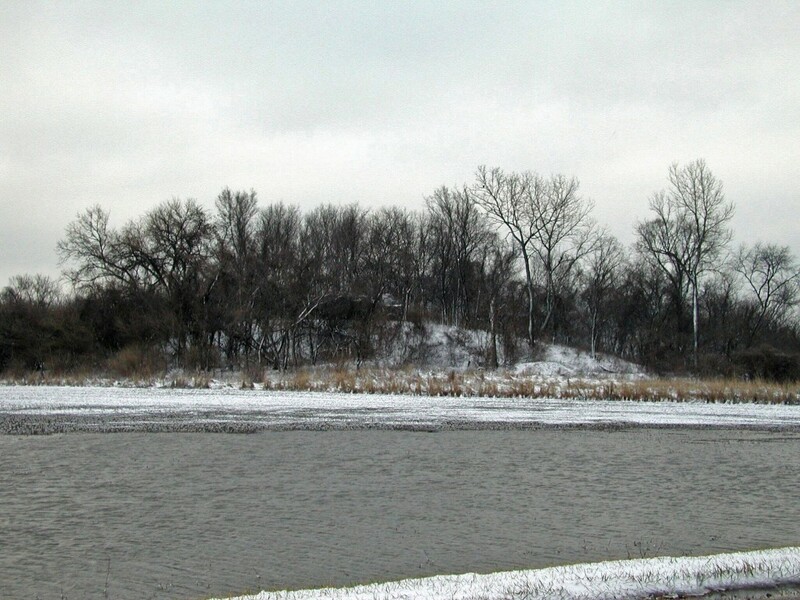 Moorehead, in 1921, thought that the base line of this mound was about 35 feet (10.7 meters) below the summit. 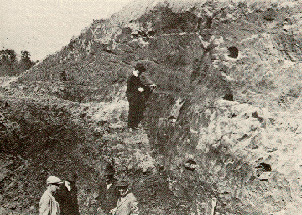 He also believed it had been a conical mound approximately 50 feet (15.2 meters) in height before 15 to 16 feet (4.6 to 4.9 meters) was removed around 1900. Moorehead further indicates that the mound was probably about 400 feet (121.9 meters) in diameter with the top platform area about 75 by 56 feet (22.9 m by 17.1 meters). The 1966 UWM Map shows the top to be 22 meters by 17 meters (72 by 56 feet), which corresponds rather closely with Moorehead’s measurements. Mound 11 was extensively excavated by Moorehead in 1921 when he cut into the north side with a trench 60 feet (18.3 meters) long and 30 feet (9.1 meters) deep. References to Moorehead’s excavations an be found in his 1923 and 1929 publications. In the mid 1950s, Preston Holder of Washington University excavated extensively on the west side of Mound 11 and into the area of Mound 10, which he considered a platform extending eastward from Mound 11. In summary, I consider Mounds 10 and 11 to be a single unit, namely a large circular platform on the west (Mound 11) with a platform extending to the east (Mound 10). 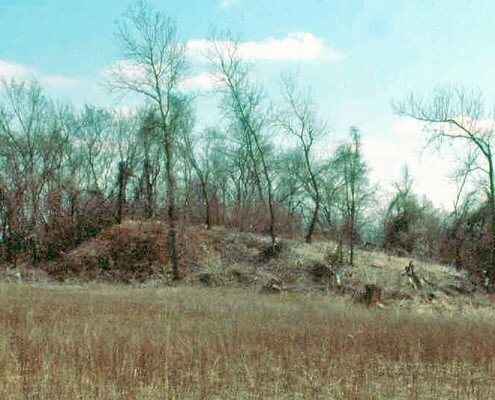 If that is the case, this structural unit is one of the few mounds with more than one terrace at the Cahokia site. This is contrasted with the other mounds in the Kunneman group (Mounds 6-11), which are combinations of oval or circular platforms and cone-shaped mounds with an intervening or connecting platform. Preston Holder, from Washington University, conducted excavations and analysis in 1950s, which were well documented but not published. 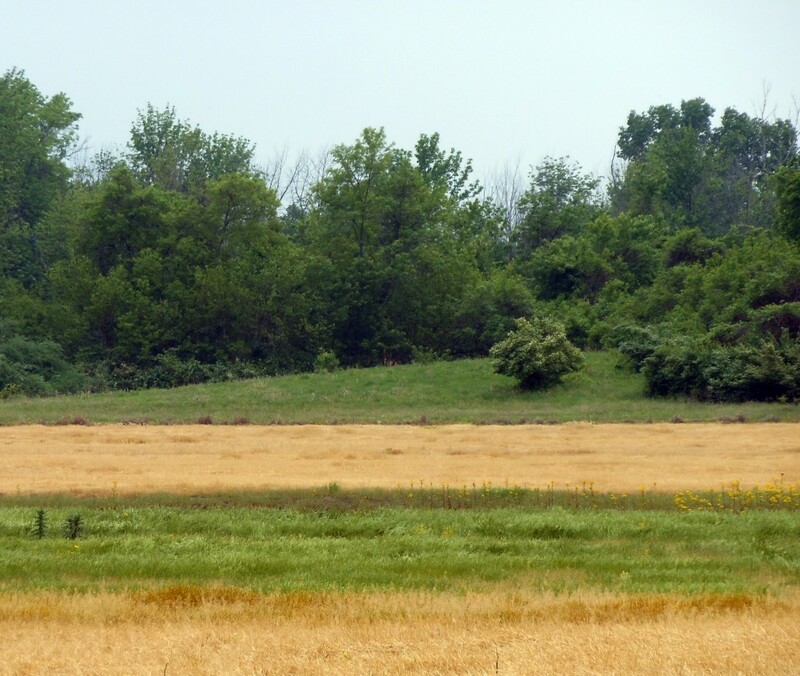 Timothy Pauketat reexamined the data and published the results in the book Temples for Cahokia’s Lords: Preston Holder’s 1955-1956 Excavations of Kunnemann Mound, Memoirs of the University of Michigan Museum of Anthropology, No. 26, 1993.